Adirondack Chair, distributor for France and Europe. Flexible chairs in Red Cedar. Pre-assembled Chairs. 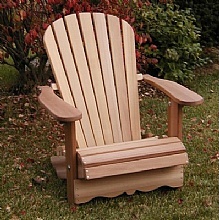 All our Adirondack chairs and ensembles are fabricated and put together in Canada. 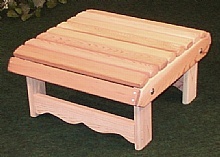 They are made of Western Red Cedar (native of the island of Vancouver, FSC). Wooden boardwalk is chosen without knots, chairs pre-went up to 80 %, and easy to put together. Our products are fabricated to last and we guarantee it! Why to choose our chairs ? 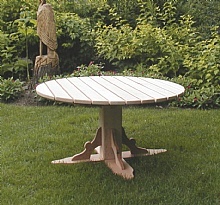 Chaise-Adirondack.com : Online sale of Adirondack chairs and tables matched, fabricated in Canada and imported directly from the producer. Our chairs are guaranteed 10 years on all pieces (see modalities here), furthermore we guarantee you a full contentment and we promise to reimburse you otherwise. Adirondack Chair : look on the bright side !